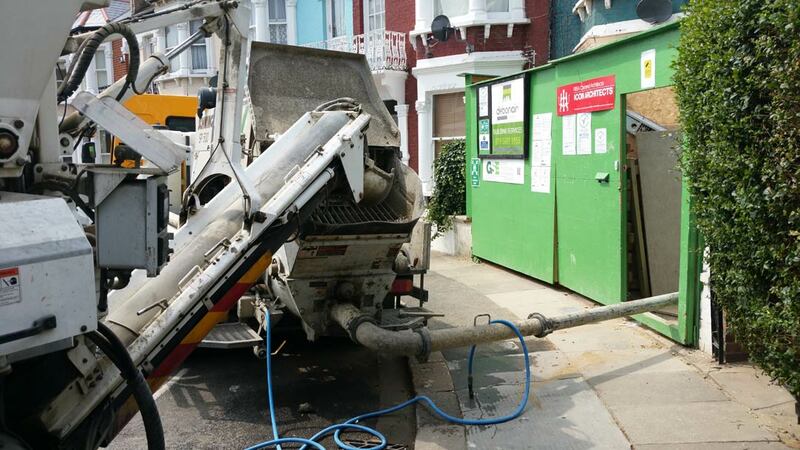 365 Concrete provides a concrete pump hire service for those hard to reach jobs. Using a Concrete Pump is the most efficient way for concrete to be delivered, cutting out the need to use wheel barrows and cutting down on your labour costs and time, especially on larger jobs. We can supply both Line Pumps and Boom Pumps to fit your needs. A Ground Line Pump consists of pipes that are laid on the ground. These pipes are able to access difficult or dangerous areas and are able to pump the concrete up and down stairs and slopes, as well as into buildings and basement areas where access would otherwise be impossible. A Boom Pump however is attached to a hydraulic extendable boom arm that allows us to pump concrete over large obstacles like walls and buildings. Get in touch with our team now for all your Concrete Pump Hire needs and let us make that difficult job easier for you. We pride ourselves on a quick, clean, and efficient delivery of your concrete using well trained and helpful staff.